A colleague of mine from Dallas, Texas mentioned on a phone call last week how busy things were in the health care industry with the death of Mr. Duncan from Ebola. Now that Nina Pham, a nurse who cared for him has Ebola, I imagine things have heated up even more. Another nurse in Spain has been infected as well after caring for a patient with Ebola. I’ve also seen one report of a jail in Wisconsin that has a detainee under medical surveillance for Ebola symptoms because she recently arrived from West Africa. People worry about infectious diseases especially when it is a new and threatening disease, even when the risk of infection seems remote. Nurses are a trusted resource and often the first person staff and inmates seek information from about an infectious disease and what can be done to protect themselves. The next several months will be an opportunity for correctional nurses to shine in providing accurate information and advice about Ebola and infection control more generally. Addressing a variety of topics that reduce risk and promote health. Using teaching methods appropriate to the situation and the audience. Seeking feedback and evaluation of the effectiveness of teaching strategies used. Using information technologies to communicate information. Here are five tips to use in providing health information about Ebola for staff and inmates at your correctional facility. Give credible information. The Centers for Disease Control (CDC) is going to be your best resource. Here is the link to the CDC web page which includes the latest news and advice for hospitals as well as community settings. Another resource is the local health department for your area. It is not uncommon for people to bring forward concerns or information that is contrary to your information or advice. The best approach here is just to cite your sources and ask that those with opposing information cite theirs so that individuals can make up their own minds after considering the information they have received. Give concrete suggestions about what to do. People often feel helpless and vulnerable in the face of a disease that they know little about. Suggesting concrete steps that can be taken goes a long way toward reducing the fear and anxiety associated with an unknown risk. You might suggest, for example, looking up one of your references or giving people a resource site to go to. Another suggestion might be for someone to assess their knowledge and skill in hand hygiene or use of personal protective equipment. Reinforce the information already known about infection control. 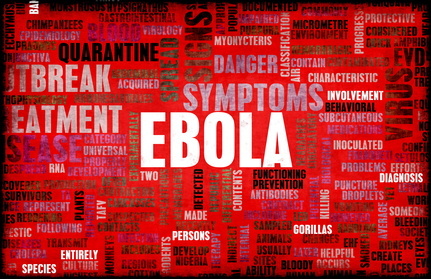 Ebola is spread by direct contact with infected body fluids. We know that prevention measures are to use standard, contact and droplet precautions when caring for someone with an infectious disease transmitted by direct contact. Emphasize the measures that are already in place at your facility to protect staff and other inmates from transmission by direct contact. Link new information to past efforts and successes. The concern and anxiety about a new infectious disease can be reduced if staff and inmates can see a link to other successes with infection control practices in everyday life. Look for allies to help spread the word. If you can demystify the disease, people will feel less victimized by the unknown and uncontrollable and ready to take the steps they need to in protecting themselves. When non-medical personnel at a correctional facility embrace the facts about Ebola and the steps to prevent transmission you have mastered control of the infection. Often getting an organization to this place is jump started when a member of the custody staff becomes a spokesperson about the disease. Invest time in sharing information with interested custody staff and they will help carry the message. The same is true for inmates; often peer educators are more effective than professionals in getting important health information across to others. Even if the possibility of the disease presenting at your facility may seem remote ask what can be learned from it about the infection control practices you have in place. For example, the nurse in Dallas is hypothesized by CDC to have become infected as a result of a breach in infection control practices. We all know how routine infection control practices are part of the daily routine so ask yourself if there are breakdowns you may not be aware of? It is a good time to audit infection control procedures to ensure that identification and prevention measures are up to date and intact. Keep up with information about the disease and what is recommended in relation to infection control. Our hearts go out to the nurse, Nina Pham; and we want to learn everything we can from her experience so we can protect ourselves. The CDC is investigating the infection control practices she used and it will be important for every nurse to incorporate what we learn into our own practice. The CDC is sponsoring a teleconference for health care professionals on preparing for Ebola October 14 and the ANA has a resource page about Ebola for nurses. What advice do you have for correctional nurses about how to respond to questions about Ebola virus? Please share your advice by responding in the comments section of this post. For more on standard, contact and droplet precautions see Chapter 10 Infectious Diseases written by Sue Smith in the Essentials for Correctional Nursing. She also discusses the role of correctional nurses in providing information and education about infectious disease. Order your copy directly from the publisher. Use promotional code AF1209 for $15 off and free shipping. What is Your Hand Hygiene IQ? Last week we shared information about health care organizations that had improved compliance with best practices for hand hygiene into the 90% range. If patient safety (i.e. reduction in healthcare acquired infection) is to be accomplished hand hygiene must become highly reliable. 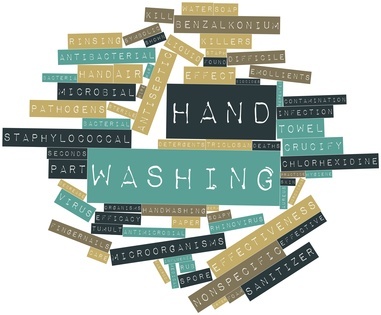 One of the measures to monitor and improve hand hygiene the Institute for Healthcare Improvement (IHI) recommends is that healthcare workers demonstrate their knowledge of the key elements of hand hygiene practice. Below are 16 questions so that you can test your knowledge about hand hygiene. Next week the answers will be posted. You could pick perhaps five questions and post them in the workplace or pass them out at a staff meeting to generate discussion among your colleagues. The IHI recommends only using a few at a time so that people are not burdened by the exercise. All of the possible questions are listed here so you can choose how you want to use them. A. The sooner you wash it off, the less chance you have of getting infected. B. It is okay to wait as long as you wash it off when you can get to it. A. Use an alcohol based sanitizer. B. Wash with warm water and soap. C. Use prepackaged antibacterial wipes. C. The top of the hand. 6. Alcohol-based sanitizer is effective against Clostridium difficile. 7. Glove use when in contact with patients is a useful strategy in reducing transmission of infectious organisms. 8. How often should you clean your hands after touching a patient? 9. How often should you clean your hands after touching an environmental surface in a patient care area? 10. Artificial nails worn by a healthcare worker poses an infection risk for patients. 11. In which of the following situations should hand hygiene be performed? A. Before direct contact with a patient. B. Before an invasive procedure. C. When moving from a contaminated to a clean body site. 12. Which of the following is most effective in reducing bacteria on the hands when they are not visibly soiled or contaminated? A. Washing hands with plain soap and water. B. Washing hands with antimicrobial soap and water. C. Using alcohol-based sanitizer and rubbing until dry. 13. 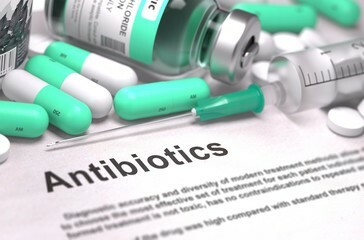 How are antibiotic-resistant pathogens most often spread among patients in healthcare settings? A. Airborne transmission from coughing and sneezing. B. Contact with contaminated equipment. D. Contamination on the hands of clinical staff. 15. 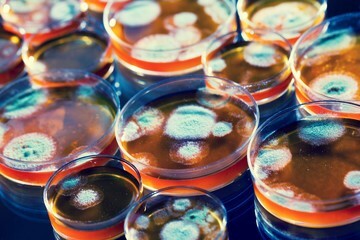 Which of the following pathogens survive in the patient care environment for days to weeks? 16. Which of the following statements about alcohol-based hand sanitizer is most accurate? A. It dries the skin more than washing with soap and water. B. It causes more allergy and skin irritation than products made with chlorhexidine gluconate. C. In the presence of a pre-existing skin condition it can cause some stinging. D. It is effective when hands are visibly soiled or contaminated. E. It destroys bacteria more slowly than antiseptic soaps. Do you have some hand hygiene questions you would add to these? 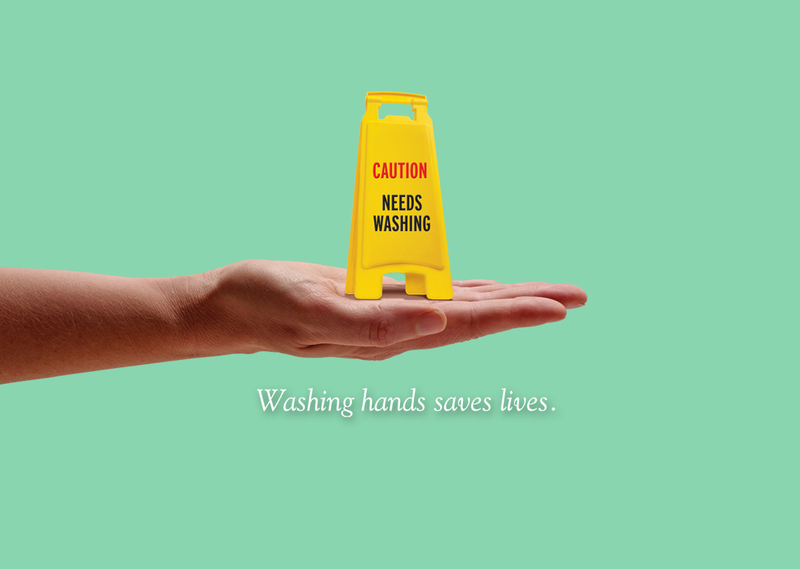 What ideas do you have about how to generate interest in improving hand hygiene knowledge and practice? Please share them with others by responding in the comments section of this post.